Curious about weaving? 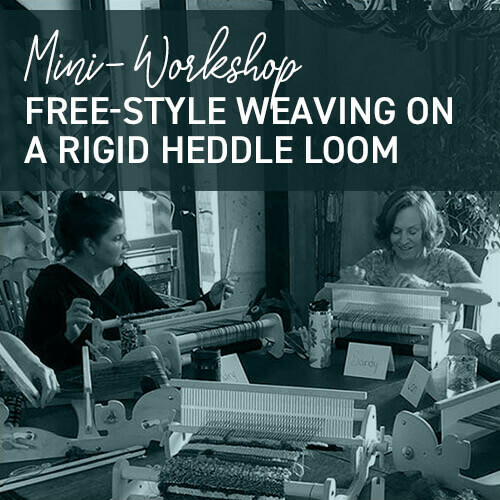 This fun 4-hour mini-workshop introduces students to the limitless creativity of weaving free-style. Using simple, portable looms that have been pre-warped, we focus on the creative, inspirational aspects of color, texture, and techniques, allowing each student to create their own personal art piece. There are no rules, expectations or mistakes. For many, this is a stepping stone to Saori weaving. This class is suitable for both beginners and experienced weavers who want to explore a new weaving methodology. During the workshop, students will have an opportunity to "try out" a Saori floor loom as well. Leave with a finished woven wall-hanging! Cost: $65, includes all supplies. Since seating is limited, reservations are required in advance.